It is safe to say that the speakers are one of the most important components in any car, especially if you are a music enthusiast. 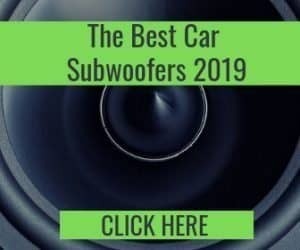 But even if you are not a fan of music, the importance of having high-quality speakers in your car cannot be exaggerated, considering they can even be used for a host of other purposes apart from blasting music. 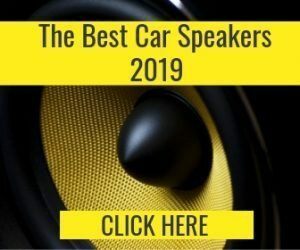 Therefore, if you are in the market for a good set of speakers for your car, there is one important specification you must pay attention to – the sensitivity rating. Apart from being capable of affecting your preferred choice, it can also affect your choice of amplifier/stereo receiver. A lot of times, a lot of people often misinterpret the sensitivity of a speaker as its efficiency, which is completely wrong. Sensitivity is a totally different factor that has to be considered separately before purchasing your speakers. To put it simply, the sensitivity of a speaker means the ability of the speaker to convert power into volume. In other words, this refers to the amount of power required in order for your speaker to function well and properly. However, not every speaker is effective when it comes to this, which for a few reasons, might be a problem. First, they need more watts to operate, which means a more expensive and robust amplifier is required to operate them. Second, speakers that have low sensitivity usually convert more power into heat and less power into acoustic energy. And keep in mind that components can be worn down faster by the heat over time. By tradition, the sensitivity of a speaker is measured by placing an SPL (sound pressure level) meter or a measurement microphone precisely one meter away from the speaker’s front and making sure that the amplifier is delivering only one watt of power to the speaker. Now measure the results in decibels, and you have a sensitivity rating of your speaker on your hands. By and large, 88 decibels are regarded as average, with 84 decibels being where the sound quality is perceptibly impacted by the low sensitivity of the speaker. On the opposite end of the scale, speakers that have 92 decibels or above sensitivity are reckoned to be high performers when it comes to speaker sensitivity. The general purpose of having a decent speaker system/amplifier is so we can get the best possible sound and make most of the technology. There is very little point in paying a lot of money for an excellent receiver/amplifier if a great part of the watts it transfers to the speakers is changed into heat instead of sound. Even though, all speakers will eventually waste most of the power sent to them – so this is quite relative. Be that as it may, a more efficient speaker will enable the amplifier to deliver its best performance, so we should also keep higher efficiency in mind when looking to buy speakers. The more effective a speaker is, the louder it will be since it will be able to utilize more of the watts it receives to generate sound. Why do different speakers have different sensitivity ratings? Above all else, a speaker’s impedance directly affects its sensitivity. 2.83 Vrms is the equivalence of one watt with an impedance of 8 Ohms, while an impedance of 4 Ohms will need 2 Watts. The variation here corresponds to a difference of 3 decibels. Besides, extra drivers can as well increase a speaker’s sensitivity. 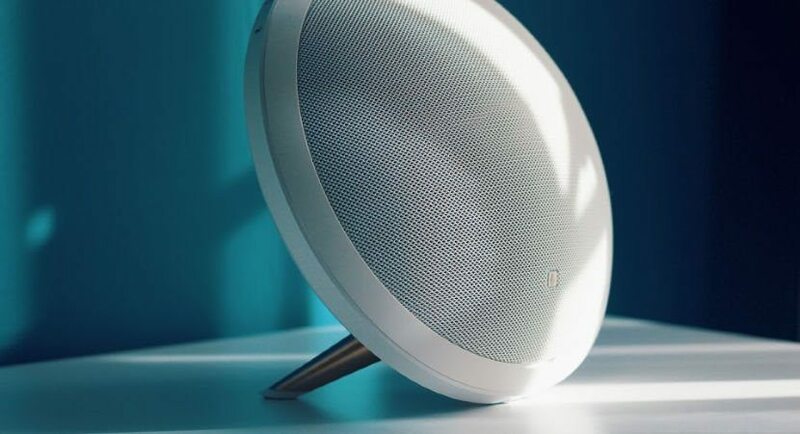 Ultimately, a speaker with a peak frequency of 1 KHz can be advertised as a highly sensitive model, in spite of the fact that the real sensitivity rating can be a lot lower when we take the whole bandwidth into consideration. Is Higher Sensitivity Always a Good Thing? Is sensitivity always a good thing? And if it is always a good thing, then why don’t manufacturers make speakers with the highest sensitivity rating possible? these are some of the questions that always linker on the minds of buyers. 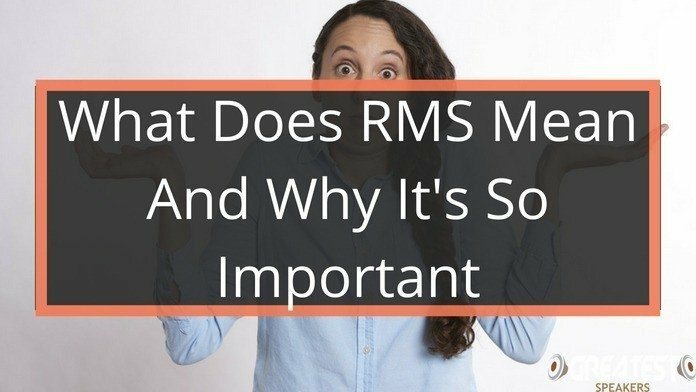 However, the answer to this question is quite simple – it is usually due to the fact that in order to reach some sensitivity levels, there have to be some compromises. For instance, the cone in a driver/woofer could be reduced to enhance sensitivity. But then again, this will likely make the cone more flexible, which would generally increase distortion. And when engineers try to eliminate unwelcome peaks in the response of a speaker, they often need to decrease sensitivity. Thus, it is aspects such as these that companies need to even out. With all things considered, however, it’s usually better to go for a speaker that has a higher sensitivity rating. While you may eventually pay a bit more for a speaker with a higher sensitivity rating, I guarantee you that it will be worth it in the long run. Does Higher Sensitivity Result in Superior Sound Directly? If a simple answer is what you need, then it is no. A great sensitivity rating doesn’t always mean that the speaker is capable of delivering superb sound quality. If the sensitivity rating was the only decisive factor, then makers would be making a lot more sensitive and lighter drivers. However, that would certainly increase the speaker’s distortion and destroy the sound quality and performance, as I have mentioned earlier. 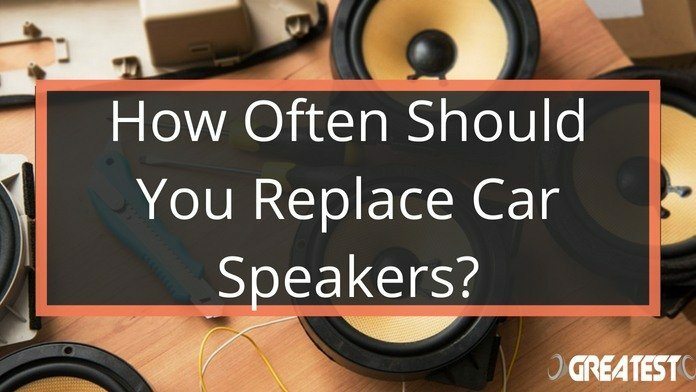 Sensitivity is only one out of the many factors to be taken into consideration when looking for the right speakers to install in your car. 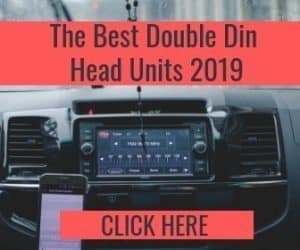 Apart from the sensitivity of the speakers, you also have to consider their crossover frequency, frequency response, size of the tweeters and woofers and the materials used to produce them, distortion, the cabinet’s construction quality, and more. After all things have been considered, you must test them and listen to the sound they produce before actually paying for them. In the end, all the specifications and numbers mean nothing if the sound you hear doesn’t please you. 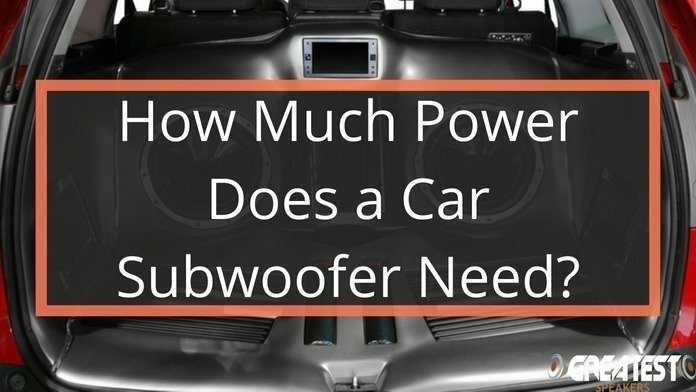 How Much Power Does a Car Subwoofer Need?